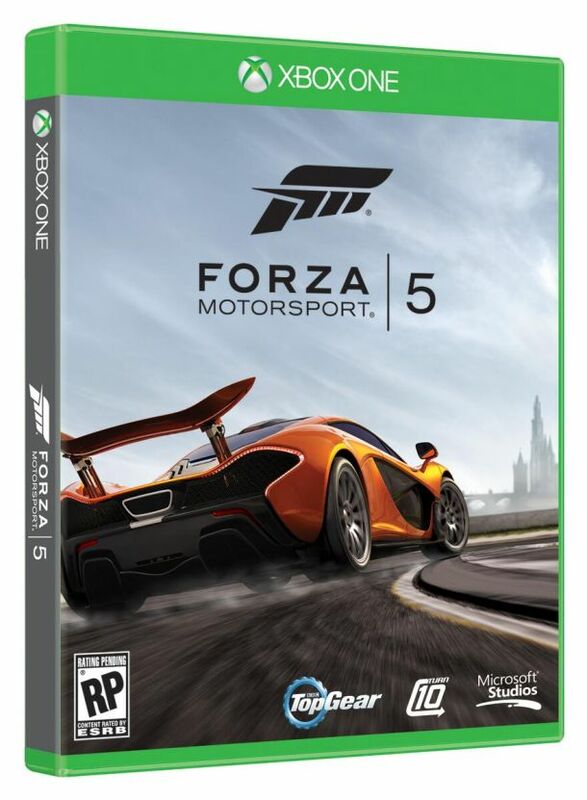 The Forza 5 Box-art, apparently. Taken directly from the Forza Facebook page. What do you guys think of the case for Xbox One titles, if this is what the cases will look like? So, Forza 5 was revealed to be an exclusive, launch title for the Xbox One. Being a fan of Forza myself, I was excited to see something about the game, and eagerly await more details at E3. I hope to have some discussions about this game with some other enthusiasts when the time comes, but for now this is all about the news. Microsoft has confirmed that Forza Motorsport 5 is coming to its new console, Xbox One. The title is once again developed by Turn 10 Studios. Forza 5 will be a launch title for Xbox One, and more information will be announced at E3. The news confirms several recent rumors as well as a job listing that emerged in 2012. This is the sixth title in the Forza franchise, which began with Forza Motorsport on the original Xbox followed by Forza 2, 3 and 4 on Xbox 360, as well as spinoff Forza Horizon last year. Let's talk Forza, and what you want/expect to see in this bad-boy. [CENTER]What do you guys think of the case for Xbox One titles, if this is what the cases will look like? It is. The Battlefield 4 one was also released and it had the same case. I mean it's just a case, but it's a bit bland. Same goes for the PS4 one. They're just cases though, so it's whatever. I really hope we can get the NooBTooB Car Club running in this one too. I've always been interested in trying this series, but have never made the leap into the it. Maybe I'll give it a try? You can probably guess what I think - you really should, copies of FM4 are super-cheap these days and it's the best driving simulator I've experienced (although I won't claim to have tried them all). As for FM5, I'm keeping my powder dry on which console (if any) I buy next and even the next game from a series I love so dearly is unlikely to be a hardware-seller for me. I'm happy to sit things out for now. It's gonna be a juicy game, no doubt. Forza hasn't disappointed me yet, aside from some minor issues in Horizon. We'll see more of F5 at E3, and possibly some gameplay. I'm excited either way. If I remember correctly Forza 2 was a launch-title for 360, and came bundled with some consoles. Maybe we'll see the same with Forza 5, seeing as it's a launch title for Xbox One.